We are grateful for the opportunity to continue our partnership with Special Olympics Montana. Our generous PGA Professionals donate $1 (and round up) for each Birdie made during our tournament season, totaling $1,100 in 2018. 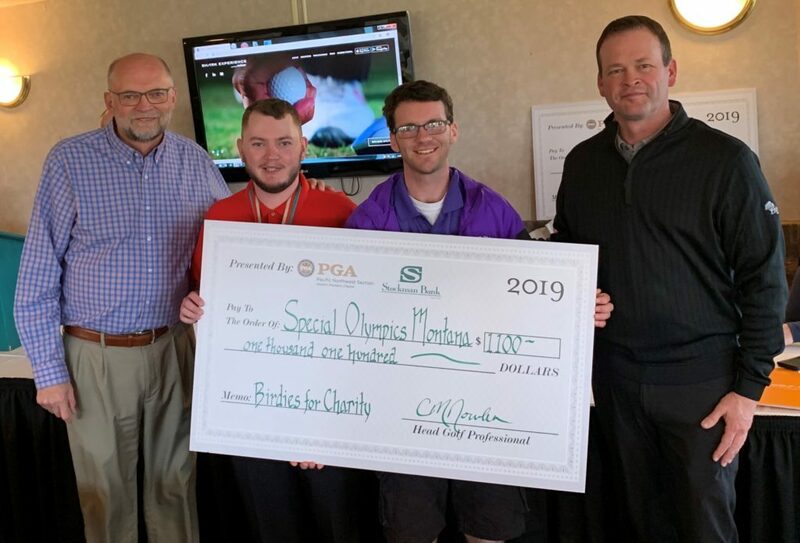 Our Birdies for Charity check presentation last night at our Spring Chapter Meeting included Special Olympics CEO Bob Norbie and two of his local summer games golf athletes from Great Falls, MT. Special thanks to Stockman Bank as our 2019 check presentation sponsor!